JOHANNESBURG, Feb 13, 2019 - Antoine van Buuren, the Chief Executive Officer of Afrocentric Group, the provider of administration and risk management services to the health-care industry, will retire at the end of March, the company said on Wednesday. 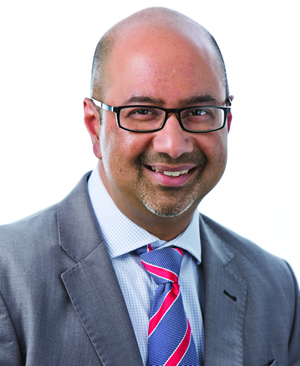 His desire to step down has been accepted by the Board of Directors and Ahmed Banderker, Chief Executive of Sanlam Strategic Business Development, will succeed van Buuren from April 1. “On behalf of the AfroCentric Group of companies, I wish to express our sincere appreciation to Antoine for his vision, leadership and ongoing commitment to the success of the company. He improved efficiencies and put the group on a trajectory for positive long-term growth. He has been invaluable to the company,” said Dr Anna Mokgokong, Chairperson of AfroCentric Group. “He has been invaluable to the AfroCentric Group. We view his leadership as instrumental in building and leading one of the highest-performing health care providers in the country. “During his tenure, Van Buuren spearheaded a number of acquisitions and mergers that put our Group among the largest players in the healthcare sector. We thank him for his immense contribution to the company’s success - as a shareholder, a board member and as CEO. “We are pleased that he will remain a shareholder in the Group. We wish him well in his future endeavours. We welcome Ahmed Banderker to the AfroCentric family,” said Dr Mokgokong. Mokgokong also expressed delight with the appointment of Bandeker as the new Group CEO. 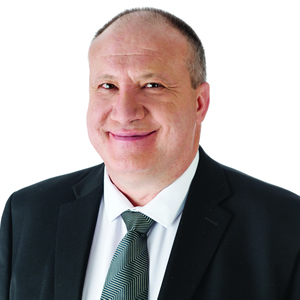 Banderker, a chartered accountant, has been Chief Executive of Sanlam Strategic Business Development at Sanlam Personal Finance Limited since 2011 and part of the Sanlam Group since 2006. He is a member of the Personal Finance Executive Team, Corporate Cluster Executive Team and sits on numerous Boards within the Sanlam Group. In his role, Banderker was also responsible for running innovative businesses within Sanlam's retail business. He was also responsible for the Mergers and Acquisitions for Sanlam Personal Finance which including the acquisition of a 28.7% stake in AfroCentric Group. He has been a Non-Executive Director of AfroCentric Investment Corporation Limited since 2015 and has also served as a Non-Executive Director of Medscheme, AfroCentric’s largest subsidiary. Banderker’s immediate focus is to implement the Board approved strategies, which includes the integration of the new acquisitions into the broader AfroCentric Group. He will also be responsible for improving AfroCentric’s growth prospects, maximising the value of the Group’s recent acquisitions as well as positioning the Group for success under the National Health Insurance environment. “Banderker understands our business well and has already made a significant contribution to the Group as a Non-executive director. He will have access to our outgoing CEO until end of May, this is to ensure a smooth handover. We know Banderker will drive the business to higher levels of success. We wish him well,” said Mokgokong.